This is the museum on our liberation war which is well known as Mukti Juddha Museum. Mukti Juddha Museum situated at Segun Bagicha of the city the museum contains rare photographs of liberation war and items used by the freedom fighters during the period. It opens at 10 a.m. and closes at 5 P.m. The open days of this museum are Monday to Saturday, it is closed on Sundays. The place is located in Agargaon’s Civic Sector, which, is very near from the Mirpur residents. Being built in the year 1996, it has been more than two decades since the museum was built. Exploring different art galleries, sculpte galleries and more is surely a refreshment to the mind for the tourists. The museum is modern learning center related to the latest scientific discoveries. It is situated at Agargaon. The museum was established in the year 1965 and it is the pride for the science lovers of Bangladesh. Different exhibitions and young and renowned scientist activities take place in this place in special occasions. 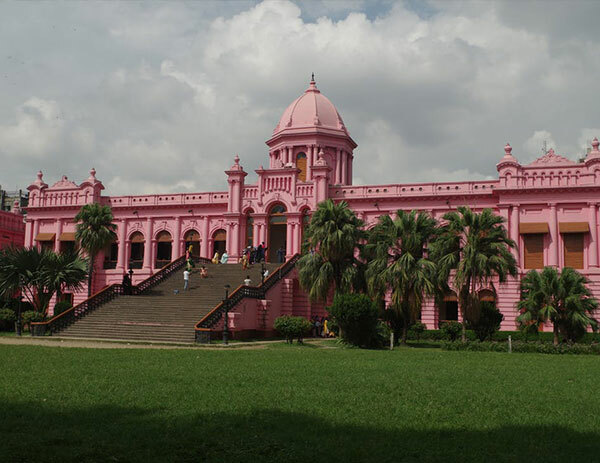 Having more than a hundred visitors every day, it is one of the most visited museums of Bangladesh. The museum is situated in the Shahabuddin Shorok and its open every day except for Thursday. In Friday, the active hours are 3-5 p.m. and on the rest of the other days, the museum opens at 9 p.m. and stays open until 5 p.m.
Swadhinata Stambha is the place where Bangabondhu Sheikh Mujibur Rahman Delivered his historical speech on 7th March 1971. With his speech, Bangladeshi Nation got the enthusiasm for our great Liberation War in 1971. To recognize the historical memory, this Stambha was made. The place is situated in the Suhrawardy Udyam, which is another great place of refreshment. The construction of Swadhinata Stambha was completed in the year 2013, whereas the construction was began in the year 1999, it took more than a decade to finish the construction of such a beautiful monument. Marina Tabssum and Kashef Mahboob Chowdhury are two leading architects of our country and they are the ones behind this work. Revolutionary poet Kazi Nazrul Islam died on the 29 August 1976 and was buried here. The graveyard is adjacent to the Dhaka University Mosque. The graveyard is situated in the public library area of Dhaka University, visiting the place during winter is a great remedy to stress. The fans of Kazi Nazrul Islam host different events at the place during their birth and death date for remembering the national poet. Traveling to the place will be very easy as there are different local bus, which have a stop spot near that place and asking anyone, who passes by from the place will lead you to the place as everybody knows the place. University of Dhaka is a remarkable place for food at a reasonable price and sightseeing. A Popular Park. The oath of independence of Bangladesh was taken here and Father of the Nation Bangabandhu Sheik Mujibur Rahman gave clarion call for independence on this occasion on the 7th March 1971. The place is famous for its lush verdure and gentle breezes. Eternal Flame to enliven the memory of the martyrs of our Liberation war has been blown here recently. It is located at the southwestern corner of Suhrawardy Uddyan, it is the eternal resting place of great national leaders, Sher-e-Bangla A.K. Fazlul Haque, Hossain Shahid Suhrawardy and Khaja Nazimuddin. The Mausoleum was completed in the year 1963 and until now it is one of the most visited Mausoleum of Bangladesh. The place is also known as the Mausoleum of the Three Leaders, however, the leaders were the politicians of Bengal before the liberation war took place. S.A Zahiruddin and his co-architect Masood Ahmed were behind this beautiful monument, it was completely established in the year 1963. The official residence of the President, located in the city. One can have an outside view of this grand palace. Bangabhaban is sitauated in the lane near the Dilkusha Avenue, in Bangabhaban road. The Islamic Architectural style of the monument is loved by many, however, the place is mostly crowded and that is why many don’t prefer to visit this place for outings. Being built in the year of 1905, it has been more than hundred years for this monument. One of the most popular saints of Bangladesh; Hazrat Shahjalal Dakhini’s burial is situated at this place and currently it is one of the most famous mazhars of Bangladesh. The monument is surrounded by gardens, and that is what makes this place worth visiting. A vast stretch of green garden surrounded by a serpentine lake near the Sheraton Hotel. Being situated in the capital of the country it is indeed the most popular park of the whole country. Ramna Park is a must visit place for the nature lovers. The peaceful surrounding is perfect for jogging in the morning too. There are mesmerizing lakes situated in the park. The blend of the trees, greenish surround and the lake is without a doubt an unbeatable combination. There is arrangement for food of all kind too, having kebab items in the place is a favorite to many. Jatiya Sangsad Bhaban (Parliament House) located at Sher-e-Bangla Nagar has distinctive architectural features. Designed by the famous architect Louis I. Kahn, it may be called an architectural wonder of this region. The modernly styled monument was built in the year 1982 and until now it is one of the well-structured and eye-catching monument of Dhaka. It took more than 2 decades to finish the construction of this landmark, on the other hand, it pulled off a cost of 32 million United States dollars to complete it. The place along with the vast field is beautiful.